Dancing Paws Press, 9780996810814, 202pp. Making the decision to become a pet parent is one nobody should take lightly. Bringing a sentient, social being into a family requires much thought and commitment, with a full understanding of the responsibility involved. But many people jump into adopting a dog for emotional reasons and without the necessary knowledge of the specific dog's needs, often with negative outcomes for both the human and the dog. 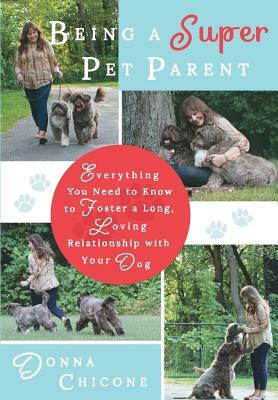 For anyone who wishes to foster a heart-centered, lifelong relationship with a dog where joy and love is given and received by all, Being a Super Pet Parent provides the roadmap for nurturing many years of faithful companionship and cherished memories with your beloved dog.